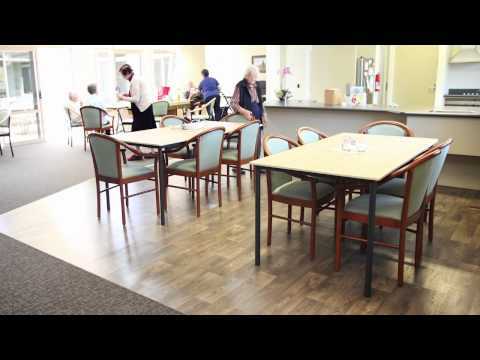 Shaw carpet tiles were chosen for the main entrance, reception, dining areas, corridors and bedrooms of the Eastcliffe on Orakei Retirement Village. Contributing to a warm environment, comfortable and quiet underfoot, Shaw Ecoworx carpet tiles also have Good Environmental Choice Australia accreditation and Cradle-to-Cradle certification. The carpet tiles shown here are from the Shaw Feeling Plush range, in the Radiance pattern. Elsewhere in the complex are other co-ordinating tile collections as well as broadloom ranges.